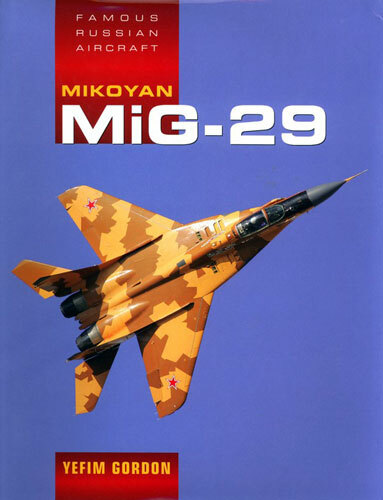 Following on from Gordon’s first volume for the new Famous Russian Aircraft Series, Mikoyan MiG-31, comes what is probably the definitive book on the MiG-29 Fulcrum. This book is a real treat, a hard-cover volume with over 700 colour photographs which make this volume a must have for those with an interest in aviation of the former Soviet Union. Moscow based, Lithuanian born author Yefim Gordon again displays his vast contacts, collection of photographs and reference material in this new work on the MiG-29. As with his MiG-31 book, the look and feel of the volume is similar to Gordon’s earlier contributions to the Aerofax and Red Star series which are also published by Midland. What sets this apart is the page count, which at 512 pages is four and half times longer than a normal Red Star series publication. This book covers all the ground one would expect of it. 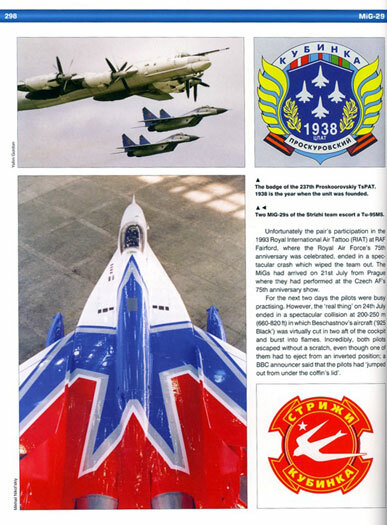 The aircraft's genesis as the USSR’s new fourth generation light weight fighter and direct competitor to the F-16, leads to a description of the design and development of the Fulcrum. Gordon follows with an account of development of the design, entry into service, an extended look at the naval variant (great reference for the Trumpeter MiG-29K kit). The second half of the book is devoted to the many operators of the MiG-29 (why a country has like Eritrea operates MiG-29 is one of the many things the reader can learn here), as well as a whole chapter devoted to display flying of the MiG-29. The Swifts are but one of several teams and individual display aircraft covered in this chapter. Concluding this book and of great use to modellers, is a section on structural design, systems and armament grouped under an “In Detail” chapter. This is the section where the reader will find the large clear detailed shots of such areas as the cockpit and airframe that will be of immense use in creating a detailed model. 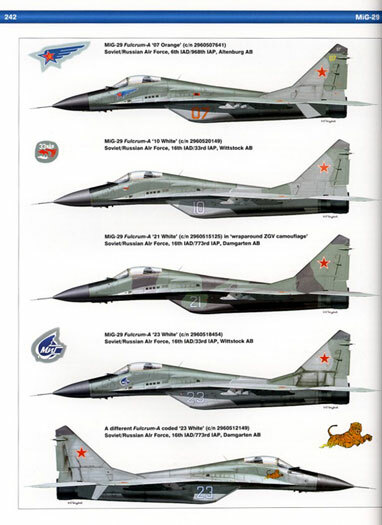 Add line drawings of all variants, almost 100 colour side profiles and a detailed list of serial numbers by user nation and yet again Yefim Gordon and Ian Allan Publishing have provided the ultimate reference on a significant Russian military aircraft. The book will serve both fans of Russian aviation and modellers well. If I had to name a drawback it would be sheer weight. This book will probably attract a very high shipping charge as it must weigh several kilograms, but it will be well worth paying.